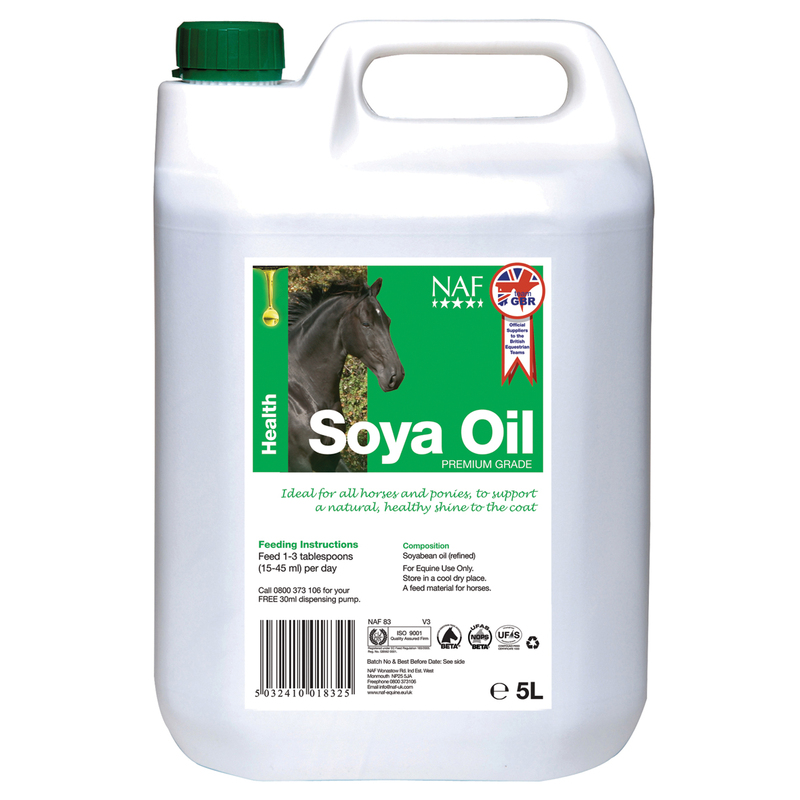 NAF Soya Oil is made from premium, high quality, pure soya oil. It?s great for skin & coat condition, giving the coat a beautiful shine. It?s rich in Omega-6 fatty acids, in particular linoleic acid. It can help with weight-gain, without the fizziness. PLEASE NOTE- The delivery time for this product is up to 7 working days. Feeding Instructions- Give 1-3 tablespoons (15-45mls) daily 5 litres will last up to 333 days (based on 15mls daily) NAF is part of the BETA NOPS scheme.